Armaan Almeida was an Automotive Editor who produced buying guides and sneak previews, in addition to publishing daily news stories and tracking monthly deals, incentives and pricing trends from Toyota, Nissan and Lexus. Learn what defines a car as totaled, how to determine a totaled car insurance value, and how to estimate your totaled car insurance payout. What Does It Mean to Have a Total Loss Car? A totaled car is a car which is considered to be a total loss after an accident. This usually means that it is damaged to the extent that it is not worth repairing. For example, if the car is worth $10,000 and needs $7000 worth of work, it's not worth it and will generally be labeled as a total loss. Generally, the cutoff is somewhere in the 70% to 75% range. In this case, the car is considered to be a total loss except for the value of scrap metal or potentially salvageable parts. An appraiser can check the damage done to a wrecked vehicle to determine the totaled car value. Cars that are totaled are generally older models, as they tend to have very low resale values. When severe damage is done to an older model, the expense of replacement parts and installation can easily exceed the value of the car. Auto appraisers can estimate the expense of repairs and compare it to the car's value to determine if a car is in fact totaled. If a car is totaled and covered by insurance, the owner should receive the value of the car (pre-wreck) in cash from the insuring company. This money can then be used to buy a new car. Because of this, most people generally decide not to attempt to repair totaled cars, however, another party will sometimes purchase them as a project or for an automotive class. Barring a third party with interest in a totaled car, it will most likely be sent to an auto salvage yard and be taken apart for scrap metal after any salvageable parts are removed. When people hear about accidents, they can become confused by terms such as total loss car and totaled car value. A "total loss car" is actually known to many under a different name: a "totaled" car. A total loss car, in some cases, may be better than having the car fixed. A total loss car is generally recognized as a car that would cost more to repair than it is worth. If a car is currently worth $4000, and the cost of repairing the damage is $6000, the car is considered totaled. When a car is totaled, insurance companies refuse to repair the car. Instead, the insurance company will give you money that matches that actual worth of the car. The goal is to give you the money, allowing you to get a new car. This works wonders for both the insurance companies and the owner of the car. Because you are insured, you are able to recover the money you would otherwise lose. Insurance companies save money by doing so; in the above mentioned example, the insurance company saves two thousand dollars by declaring the car a total loss. The process to determine the extent of the damage to a car may take up to a few days, but once the car is declared a total loss, the insurance company will write a check for the value of the car. Understanding what you will get from totaled car insurance is essential to know what will happen in the event that an accident writes off your vehicle. By considering the aspects that your insurance company take into account when determining the value, you can avoid any surprises from it not matching your estimate. The type of car that requires totaled car insurance will play a large part in the determination of the ultimate value. High end and classic cars will be treated differently to average cars as they depreciate in value differently, which will be taken into account by the insurance companies. The totaled car insurance value will depend on the age of the vehicle, as it is easy to determine the value of the vehicle according to its type and age. There are various agencies that can provide an accurate sum for the value of the vehicle. The car insurance policy for total loss coverage will take into account the condition of the vehicle when it was involved in the accident. If the condition of the vehicle is below that of an average vehicle of the same age, the average sum will be lowered. If the insurance company considers the accident may have partially been your fault, they are likely to reduce the total loss value to take this into account. The value of the vehicle will be calculated before a certain percentage is deducted depending on the actions that caused the accident. If you've been in an accident with your car, you may have to file a claim of totaled car insurance. By labeling your car as totaled, the company has made the decision it would cost a lot more to repair the damages than it would to buy a similar car. There is a large process involved in figuring out the of your car insurance claim, but you can still make an estimate for it on your own. Here is how. The first thing you need to do is to write down the year of the car, the model and the make. All of this information is in your owner's manual. Also note the mileage on your car, found behind the steering wheel. The less mileage your car has on it, the better chance there will be to get a higher auto value. It is also important to include whether or not the car has been in any other accidents. If there have been no accidents, this will also help bring up the value of your car. Once you know your car's information, you can look up its approximate value through Kelley Blue Book, National Automobile Dealers Association or Edmunds. It is wise to check with all of these so that you can get an average value for your car. During this search, you can also include any kind of extras that have been added to your car. This should raise the original value of your car when you first purchased it. Things like nonstandard stereo speakers, nonstandard stereo systems, nonstandard CD players, etc, may all impact total loss. Add all the values of the various improvements you have done to the car, to the base value that you found by averaging the combination of Kelley Blue Book, National Automobile Dealers Association and Edmunds. Once all of this is added up, you should then have pretty much the same estimate that the insurance company will end up paying for your car, should it be considered totaled. While you are doing all of this, it is important you contact your insurance company and make them aware of all the improvements you may have made on the car. This will more than likely affect their decision on how much they should give you for your car. Once they analyze the damages done in the accident, they will be able to determine which route they will take to save the most money. If the car is declared totaled, but you can still drive it, all you need is a salvage title to get it on the road again. 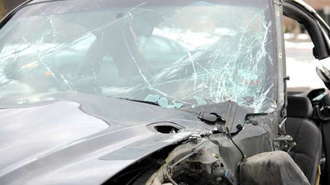 After an accident, dealing with car insurance and a totaled car can be very stressful. Knowing how to talk to your insurance company and understanding what to expect can be very helpful. Having to replace a totaled car is especially difficult if you financed or leased the car. Your car cannot be safely repaired. The laws in your state decided it is a total loss due to cost of damage. The car's value is less than the repairs. For an insurance company to come to the decision your car is a total loss, they ask their claims adjuster to make an estimate of the damages, along with the estimate, the age of your car, mileage, pre-accident body condition, plus any pre-accident improvements. Then the adjuster finds similar models for sale in your same area and takes the total loss estimate, compares it with the cost of other cars like yours, checks the Kelley Blue Book value, and comes up with the Actual Cash Value of your car. You can ask the adjuster for the details of the estimate and if you feel your car is worth more, try to find a better match. Will the Insurance Company Replace My Car with a New One? Not unless your company offers Guaranteed Replacement Cost coverage for new cars then your payment will cover the cost of a new car. Without this coverage, your company is only required to pay you the actual cash value of your car minus the collision deductible. This cash value will be enough to buy a car similar to your old one. Will My Check Get Issued for the Full Amount? If you own the car, you will receive payment within a couple of days if not it will depend on if you have leased the car or if you owe a bank or other financial institution. If you leased the car, the full amount will go to the leasing company. If you financed the car, the amount owed on the car will go to them and the rest to you. If your insurance gave you a temporary rental car, ask your adjuster how long you will be able to keep the car before having to buy another one. Sometimes because of sentimental attachment, people want to keep and repair their cars after the accident. In cases like this, several factors, the adjuster has to take into consideration before the owner gets possession of the car. Some of these factors include is this permitted by state law, and then the salvage yard is contacted to see what is the fair market value on the car. When the fair market value is determined, this amount gets deducted from your settlement; you get your car back with the remainder of the settlement along with a salvage title. The salvage title will not allow you to register your car until you make all the repairs. The cost and stress of fixing a wrecked or totaled vehicle can be devastating. Knowing what the language of your insurance policy is regarding totaled cars and know the state laws will make this a little easier to handle.